The large oak Memorial Lectern resides permanently on the stage of our Main Hall and the names are listed separately on the side wall of the Main Hall. In the boys' school hall. 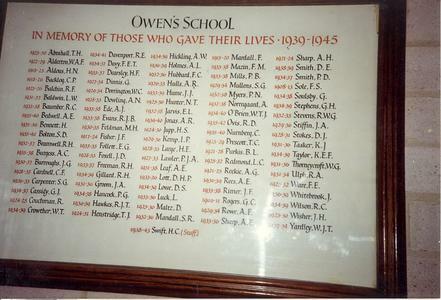 A framed Roll of Honour, listing the names of students and the dates they attended Owen's School in black and red ink, respectively. 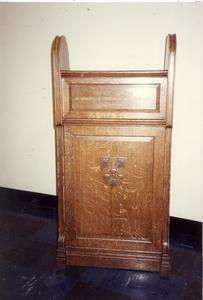 Accompanied by a wooden lectern with the school badge carved on the front and the inscription in gilded lettering above. 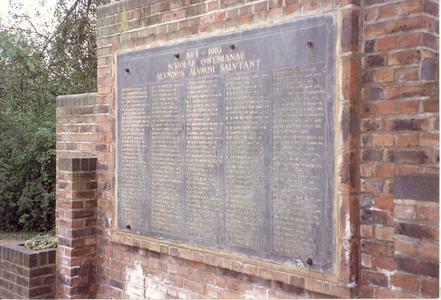 A member of the school's staff cares for the memorial.